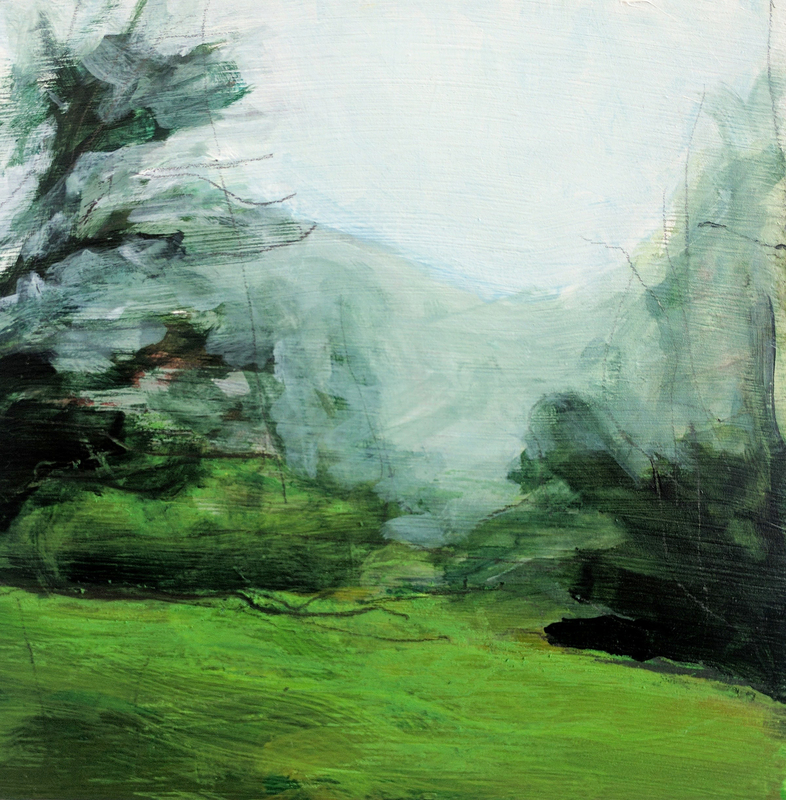 Julie’s Coffee and Tea Garden presents Forest and Fog, a new solo exhibition by Lisa Rigby. Forest and Fog is a collection of new paintings that recreate the haunting beauty experienced amongst the coastal fog and redwood forests of Northern California’s diverse landscape. Lisa Rigby is an artist currently based in Oakland, CA. Originally from North Carolina, she moved to the Bay Area in 2016 to escape the harsh east coast winters and enjoy the abundance of nature year-round. The bold abstractions that previously defined her style gave way to lush and gestural landscapes after her west coast arrival. A graduate of the Maryland Institute College of Art (MICA) in Baltimore, MD, Lisa has been exhibiting work professionally since 2008 in group and solo shows across Baltimore, Philadelphia, Greensboro and Oakland. January 2016 marked a new chapter in my life–becoming a Californian. The months that followed seduced me with the natural beauty of the hills, forests and waters in which I am now immersed. Countless hikes yielded constant inspiration, which were followed by many dedicated hours in the studio, working nearby my fellow creatives. I am pleased to share my newest series in Forest and Fog, paintings which explore the diverse Northern California landscape, depicting rolling hillsides, majestic redwood forests, and the sensual fog that engulfs the coastal region in winter.